The UK cruise market has passed the one million passenger mark for the first time according to figures released today by cruise body CLIA UK & Ireland. Statistics show that the UK retains its position as Europe’s number one market accounting for 27% of cruise passengers, second only to North America globally. The number of British and overseas passengers joining their cruise at a UK port grew 10% to 1,062,000 in 2013, whilst the number of passengers on day visits to one of the UK’s 51 cruise ports jumped by 20% to 866,000. Cruising has grown by 43% since 2008 with lastest figures showing an additional 25,000 (1.5%) of British passengers taking an ocean cruise in 2013. The number of Europeans taking an ocean cruise grew 4% in 2013 to 6.357 million. The Mediterranean remained the most popular choice for British passengers, accounting for 644,000 of them, although Northern Europe cruises have grown by 20% to 531,000 in 2013. A wider trend has seen a continuing increase in the number of UK passengers starting their cruises at home rather than overseas. Just six years ago, only a third of UK passengers started their holiday from British ports. By 2013, it was almost half (49%). This growth comes at a time of sustained investment by the cruise industry. 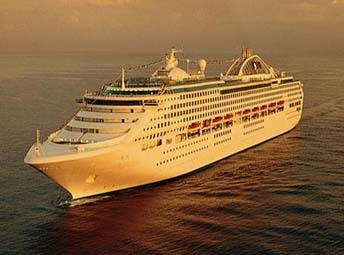 This year and next year 13 ocean cruise ships will be launched at a cost of £5 billion.